An estimated 1,000 former Ministry of Defence (MoD) employees might have been exposed to asbestos while maintaining Sea King helicopters … but are going to struggle to fill in the necessary form fifty years after the incident. Unite says the MoD’s advice for former workers to fill out a personal asbestos record form was ‘inadequate’, as how would those ex-maintenance staff servicing Sea King helicopters since 1969 know of the form’s existence in 2018. In a letter to the union, the MoD has admitted it does not have a central record of those staff maintaining the Sea Kings since they came into service nearly 50 years ago. 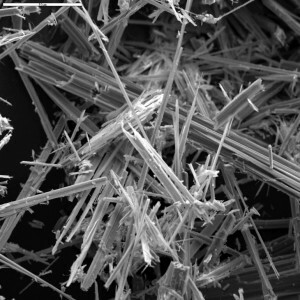 Unite called on the MoD to redouble its efforts to trace the former workers, including adverts across the UK media, so they could be tested for the exposure to asbestos. Unite national officer for the MoD Jim Kennedy said: “We are in a classic Catch 22 situation, as how on earth would former employees know of this form’s existence – ‘MoD Form 960 Asbestos – Personal Record Annotation’ – and that it can be accessed in 2018. “More importantly, unless they knew they had been exposed to asbestos, it wouldn’t be on their radar to record this exposure. “This makes it imperative that the MoD steps up its efforts, including national advertising, to track down former employees so they can be screened for asbestos. “Unite will strongly press to find out what steps the MoD has taken to identify ex-employees, given that asbestos related disease can develop over many years. “The MoD keeps records for security purposes so would have a record of those who had serviced and worked on the Sea Kings since 1969. “We demand the MoD checks its records to identify all ex-employees and contact them as matter of urgency, so it can fulfil its duty of care to former staff, however long ago they worked on the Sea Kings. The MoD letter said that a number of components fitted to the Sea King were made of asbestos and, despite a modification programme in 2006 to replace those parts, a recent investigation revealed that ‘not all the parts had been purged from the supply chain’. The MoD has issued a Defence Information Notice (DIN) to current employees advising them to fill in a personal asbestos record with a copy to their GP. The MoD must introduce a system that will notify all former MoD employees of the risk they now face due to previous unknown exposure to asbestos while working on the Sea King.